The designers eventually won both arguments, retaining the 60mm (2,4in) steel armour, and removing one of the sub-turrets. Stalin's frequent willingness to accept the opinions of his technicians and field commanders on matters of tank design is worthy of note, especially in light of the standard historical view that he was totally ignorant of military affairs and unwilling to compromise his ideas. At times his interference in military affairs proved disastrous, bur he was intelligent enough to grasp the essentials of weapon design and the conduct of war. 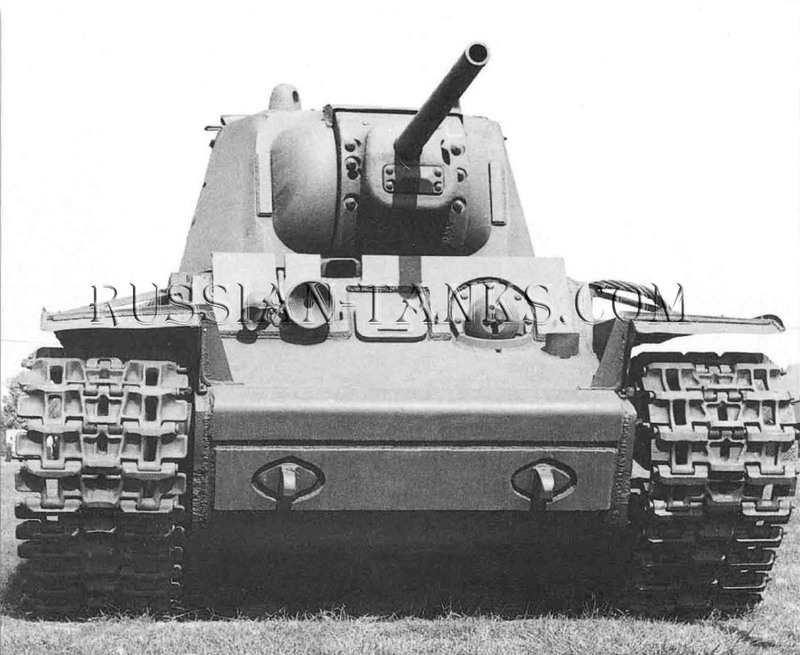 The prototype of the T-100 was completed in May 1939, and the first Heavy Soviet Tank SMK was ready at the start of August. Both vehicles began testing at the Kubinka testing grounds outside Moscow. The test crews included a number of engineers from the two Leningrad factories who received special training in the skills needed to drive the vehicles and operate their armaments. Leading Communist Parry and military officials at tended the tests, most notably Marshal K. VoroshiIov, who witnessed the trial of another new heavy tank, named the KV after him. The KV tank was the result of frustration on the part of Kotin and his assistant chief engineer A. Yermolayev. They still disliked the weight problems and cramped crew compartment which was created by having two turrets. In typical fashion, in February 1939. 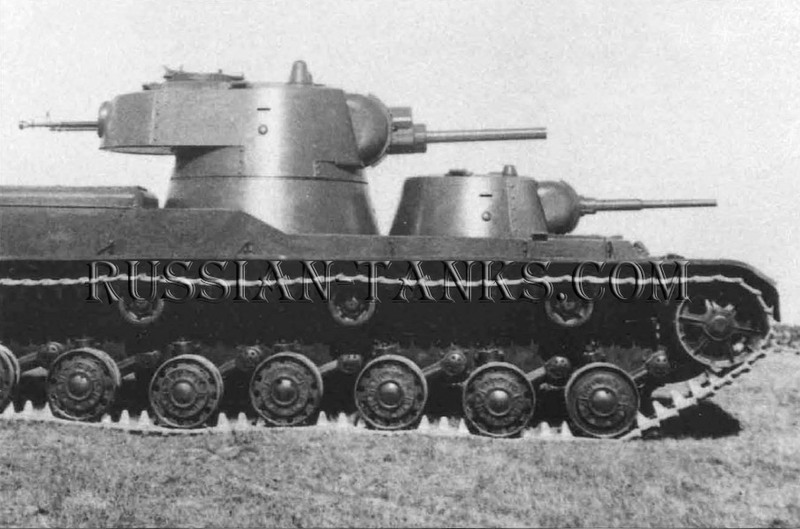 Kotin, acting without higher approval, set his team the task of designing a single-turret variant of the SMK. In August 1939 Kotin showed the plans to Stalin and again managed to win him over. Official approval was given to construct a KV prototype and then test it alongside the two dual-turret heavy vehicles. Apart from a new single turret, the KV inherited many features from the SMK; hull, transmission, optics and the torsion bar suspension. During the Kubinka trials, the KV proved superior in mobility to the SMK tank and T-100 and also Heavy Tank T-35. However, the sternest test of the three new talk types came in December 1939, when they were deployed to take pare in the Russo-Finnish War. On 30 November 1939 the Soviet Union attacked Finland with the intemion of making a number of limited territorial gains along their mutual border. The sheer size of Soviet forces in comparison to the Finns, and their superiority in tanks, artillery and aircraft, made the Soviets confident of a swift victory. In the end, this was not to prove the case. Fierce and skillful Finnish resistance, and an initially risible Soviet performance saw the war drag on until mid-February 1940 when, with their reserves simply running out under constant Soviet attacks, the Finns were forced to capitulate to Soviet territorial demands. The Heavy Tank SMK, T-100 and KV prototypes saw action in the war, taking part in a number of skirmishes as part of the 91st Tank Battalion of the 20th Heavy Tank Brigade. Their first action took place near Summa between 17 and 19 December, and was one of mixed fortunes for the experimental tanks. In general, the KV performed well. During attacks on 1 December, although the Finns did manage to shoot off one of the KV's barrels, forcing it to be withdrawn, the tank proved to be mechanically reliable, and its thick armour was invulnerable to enemy direct- fire weapons. The other two prototypes were less effective, nearly causing a major embarrassment for the Soviet Union in one engagement. On 19 December the SMK and T-100, accompanied by five T-28s, supported Soviet infantry as they again tried to penetrate Finnish defences at Summa. Invulnerable to Finnish light weapons, the tanks advanced deep into the enemy's defences until one of the SMK's tracks was disabled by a mine. The SMK's crew repaired the track whilst its own gunners and supporting vehicles provided them with covering fire. The situation worsened when it was discovered that the engine would no longer start. 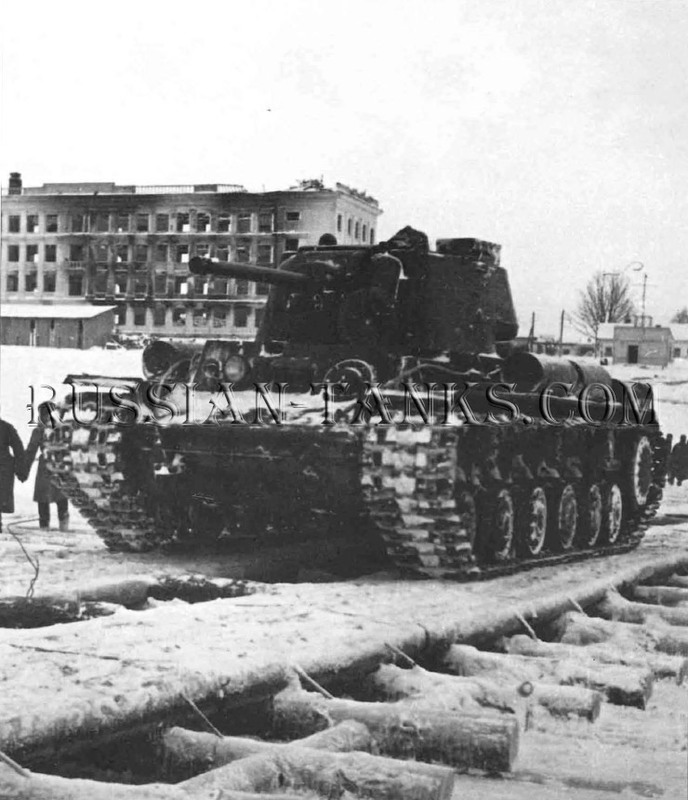 Attempts by the T-100 to tow the SMK were frustrated by icy conditions that prevented its tracks from acquiring sufficient grip. As ammunition ran low, the crew had no choice bur to withdraw, abandoning the SMK tank. Desperate not to lose one of his valuable experimental tanks, D. G. Pavlov, head of the Directorate of Armed Forces, mounted an ineffective and costly rescue mission with elements of the 167th Motorized Battalion. Eventually the SMK was recovered in February when Soviet forces finally broke through Finnish defences along the Mannerheim Line. 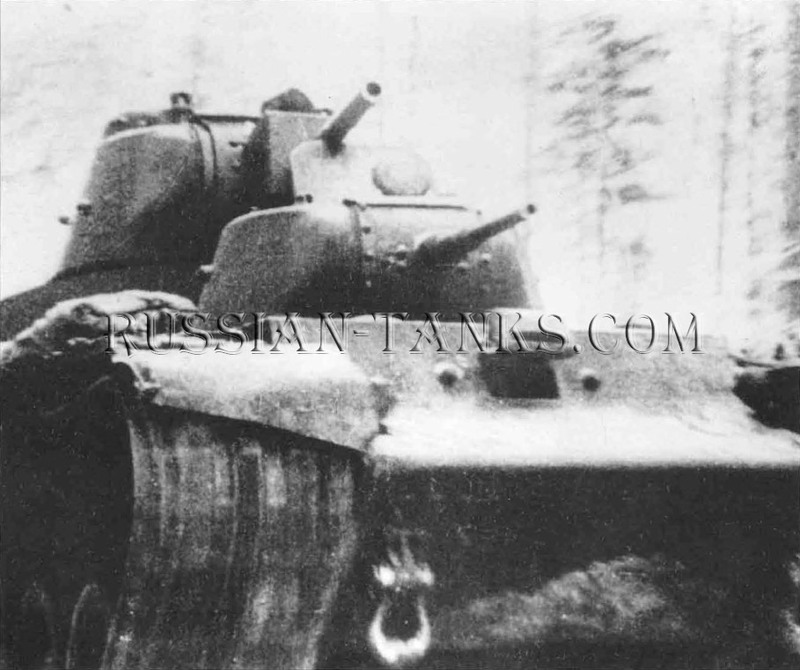 In general the performance of the experimental heavy tank in the Finnish War simply confirmed the decision made by The Red Army on 19 December 1939 to approve the KV-1 for general production and discontinue the SMK and T-100; a brief flirtation with a modified SMK (SMK-2) came to nothing. On another note, the war revealed certain deficiencies in the technical capabilities of Soviet tank when operating in winter conditions! Amongst a number of improvements adopted to overcome this bizarre situation was the introduction of compressed air tanks and separate reserve batteries for the ignition.